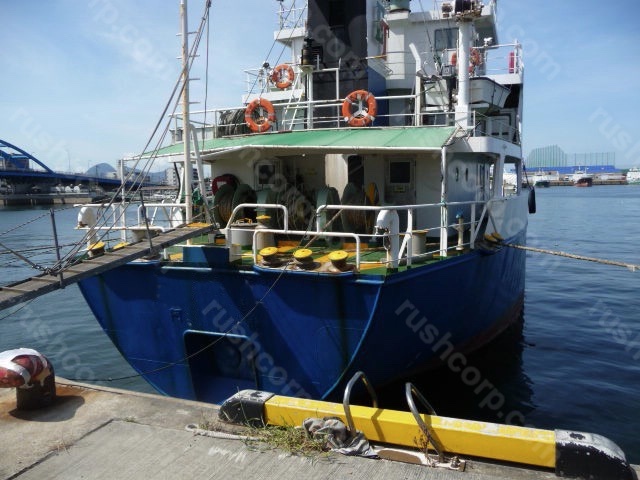 LOA: 57.70m, Breadth: 9.40m, Depth: 4.30m, Crew: 5, Service Speed: 10.5, Main Engine: Hanshin LH280G 1000ps, Auxiliary Engine: Yanmar 6HAL-N x2, Auxiliary Engine 2: Yanmar, Hold Capacity: 659.18 cubic meters, Notes: Stainless tanks (SUS-316) 659.18 m3 Capacity, Cargo Pumps 200m3/hr x2 Last Dry Dock for Painting etc August 2017. Last Cargo Alkin Benzene. Speed Consumption 10.5 knots 80L/hr in Ballast or 120L/hr fully Laden. Next SS Due May 2020.